This course will develop your listening, reading, writing and speaking skills in preparation for the IELTS Test. In this course you will learn test taking strategies to help you reach your IELTS test score goal. 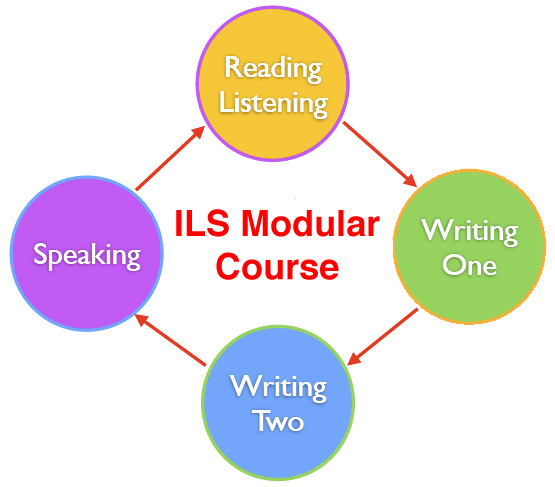 You will prepare specifically for the listening and speaking modules, as well as the Academic Reading and Writing components. Mini tests will be administered throughout the course to track your progress. ILS teachers are experienced and familiar with the test requirements and are qualified examiners of a variety of international examinations. They can therefore help you achieve the results you need. 1. have better listening, speaking, academic reading and writing skills. 2. have improved their test-taking strategies specifically for the IELTS test. 3. have improve their IELTS test scores in all four skills. For students who want more 1:1 time with the teachers. We offer a premium IELTS group course price which includes 4×30 mins with the teacher. We also offer a 2-week 1:1 IELTS preparation course. Why choose the ‘premium’ course? The regular course is very intensive and whilst there are 3 practice tests, there simply isn’t the time for 1:1 analysis of your speaking and writing tests. Premium students have the opportunity to take a deeper look at their writing and speaking tests one-to-one with the teacher. These private session usually take place before the regular course starts. IELTS, is a popular language proficiency examination required of non-native speakers of English for entry to university. It is also used as a requirement for emigration puposes (New Zealand, Australia, Canada, UK). When Where and How often can the test be taken. The test is given every month at Tallinn University Language Centre. The number of places is limited and you need to register for the test in advance. When you register for the test you will be given an information pack which gives more information about the 2 different kinds of IELTS test (general or academic) and some example questions. How long will I have to wait for the results of the test? The IELTS test is scored from Band 1 to Band 9. Different scores are required for different purposes in both general and academic versions of the exam. For example, academic exam takers are usually expected to score from upwards of band 6 (athough sometimes lower scores are required) for undergraduate programs and over band 7 for graduate programs. Candidates should find out what score is required for their own purposes. For more information please contact Tallinn University Language Centre.